This will be the last in our series of holiday posts. I hope you found some ideas to use for your own Christmas gift giving and decorating. Let's start with a pattern for an insulated beverage holder. Makes a great stocking stuffer. 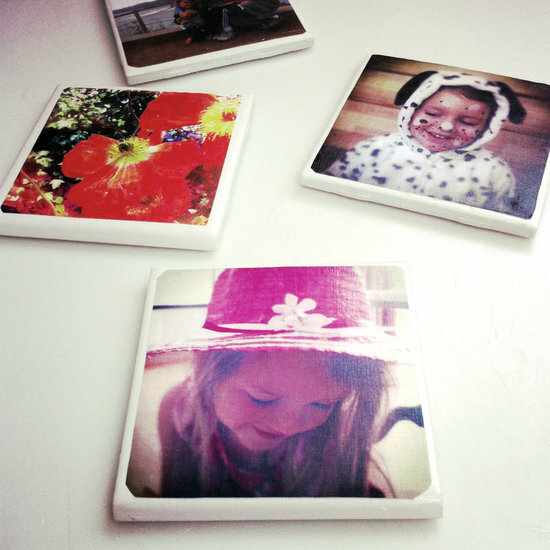 These DYI Tile Photo Coasters are a nice way to share your family photos with friends. Thanks to Popsugar.com for the tutorial. This table runner from Sister Of the Divide is going to be your favorite gifting pattern! 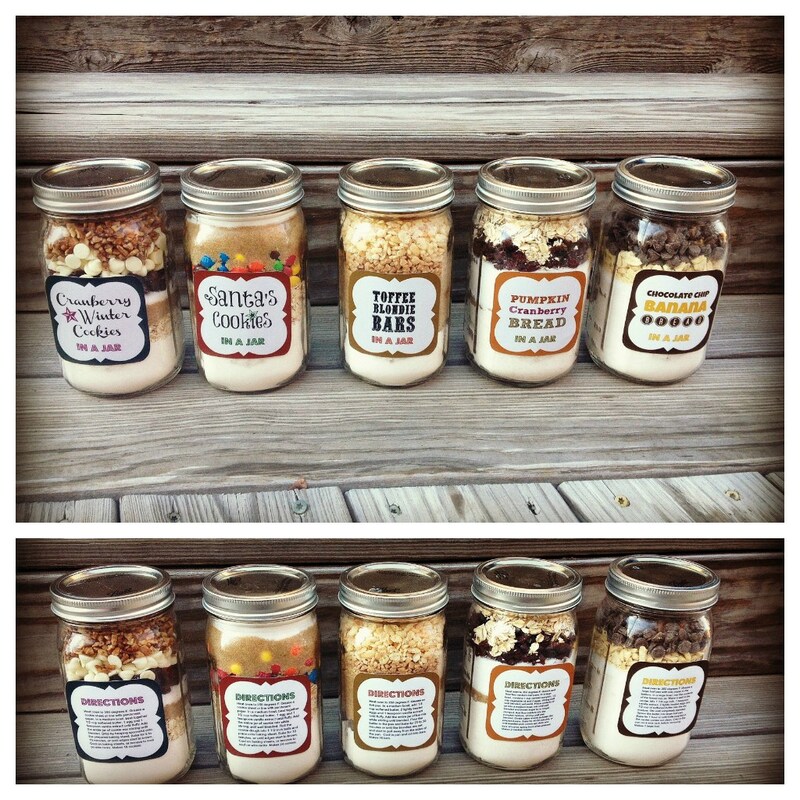 Most of us have made or received a gift in a jar. Check out the tutorial on Cul-de-sac Cool for cookies, bars and bread recipes. 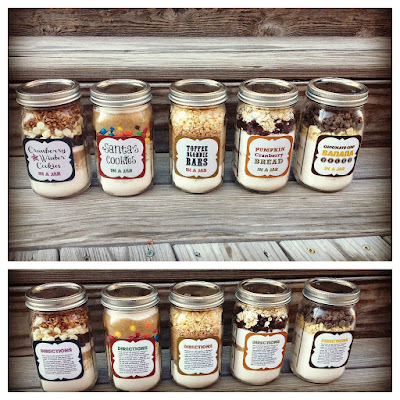 They also have the printable labels if you wish. 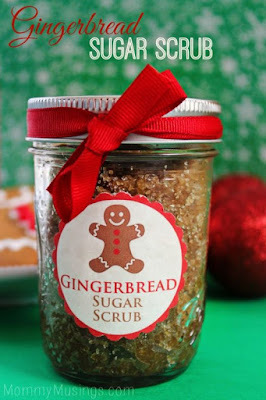 Another gift in a jar is the Gingerbread Sugar Scrub from Mommy Musing. 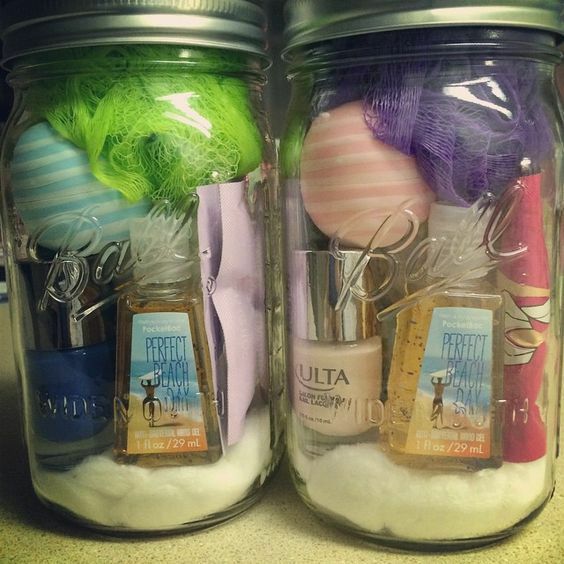 For the teens on your gift list, why not do a spa jar? Hit the dollar store for sample size lotions, creams, nail items, etc. to fill a mason jar. 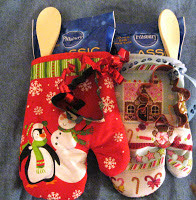 Speaking of the dollar store, pick up some Christmas oven mitts, wooden spoons, cookie cutters and cookie mix for a gift less than $5.00! This stocking stuffer will be well-received. 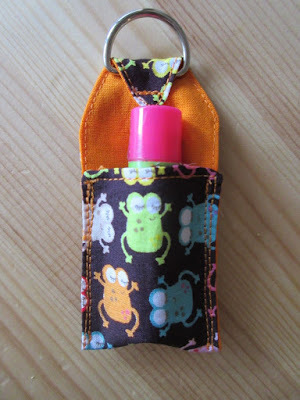 Thanks to Giraffes Can Sew for the tutorial. Another nice gift is a sunbathing towel bag, The sun worshiper in your family will love it. 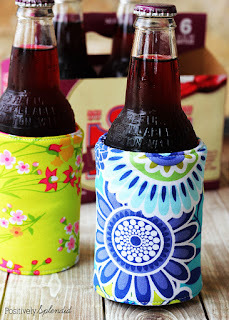 Use those bright towels for added pop! Thanks to Smart School House for the tutorial. 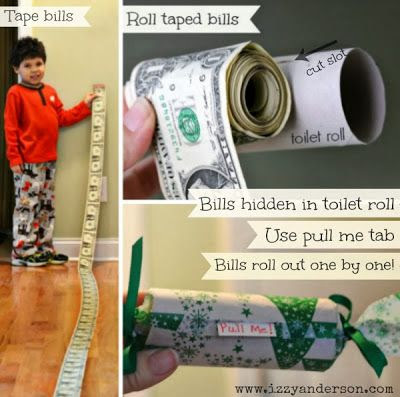 For the teen boy on your list, money is a safe gift. Roll up those dollar bills and package.Thanks to izzyanderson.com for this idea. Santa Claus gets all the credit this time of year, but this next section is all about the reindeer! Need to bring a beverage to your holiday party? 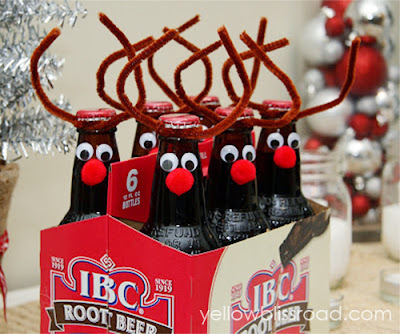 Decorate the bottles-reindeer style! Thanks to Yellow Bliss Road for the great idea. 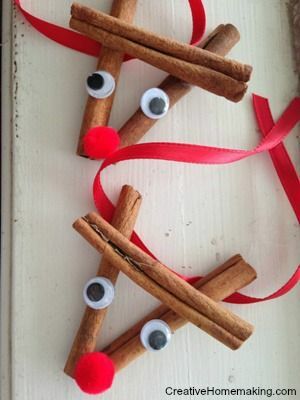 Creative Homemaking shares this cinnamon stick reindeer ornament. 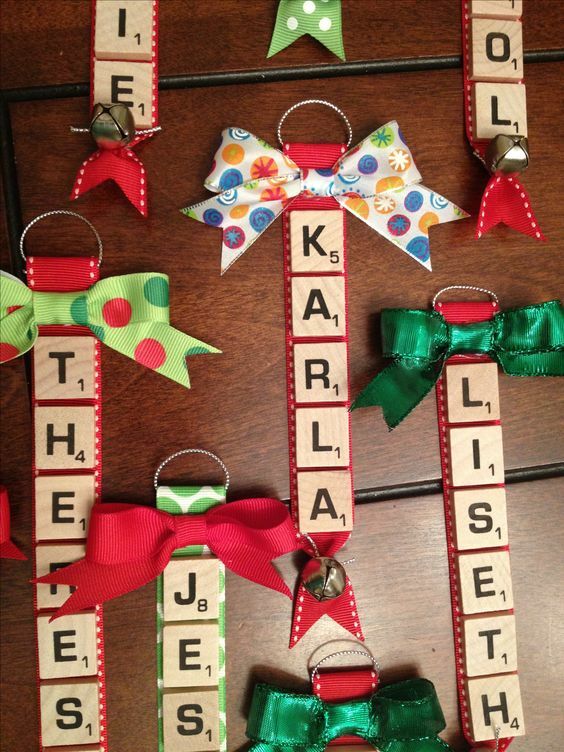 Another good idea for a gift using items from the dollar store. 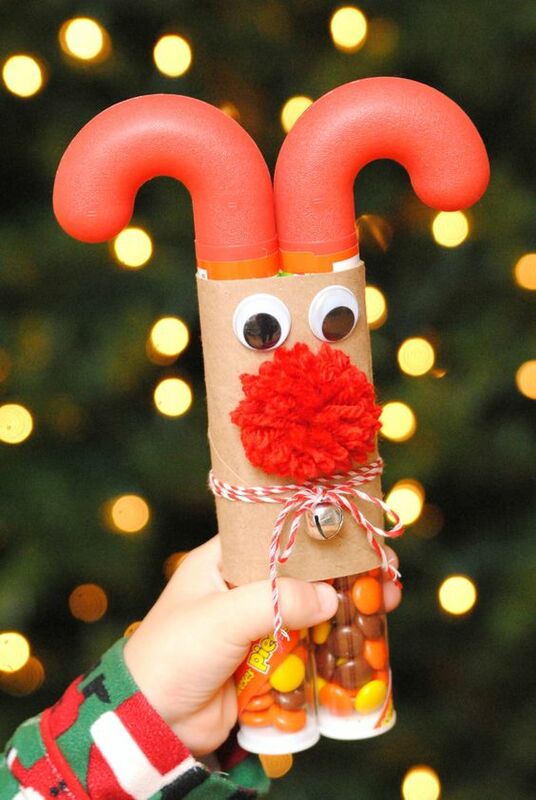 This candy cane reindeer is perfect for kids of all ages. Thanks to happygolucky blog for this tute. 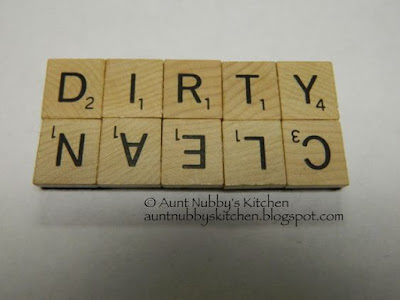 Got an old Scrabble game in your attic? 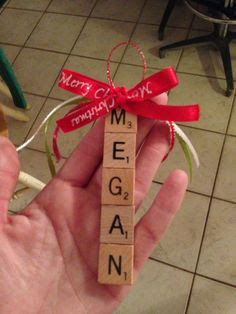 If not, check out your local thrift store for one and use the tiles to make personalized tree ornaments. No pattern or tutorial--pretty self-explanatory from the photos. 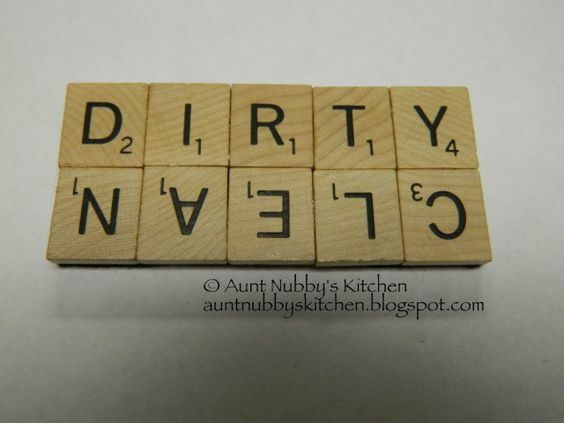 For the kitchen, why not make this "dirty-clean" dishwasher magnet? Thanks to Aunty Nubby's Kitchen for the idea. Now for the sweet treats! From Frugal Living NW comes the candy train. Isn't it adorable? Hit the dollar store for all your ingredients. 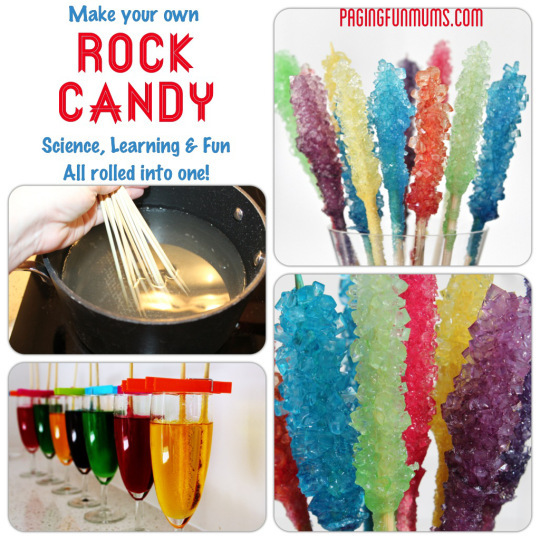 An old-fashion favorite is rock candy. Why not try a hand of making it yourself? The kids will love checking out the daily rock growth. 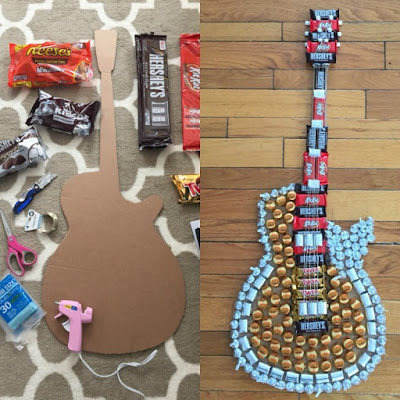 Thanks for sharing this idea with us, Paging Fun Mums. 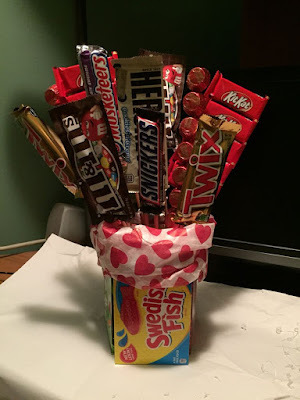 Thanks to ThriftyFun for the Candy Bouquet tutorial. Keep scrolling down the page for full instructions. 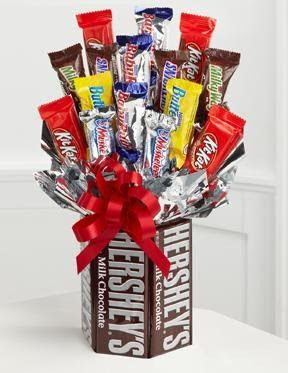 Save this tutorial for future reference as you can use this candy bouquet for a birthday, get-well, retirement, etc. gifts. 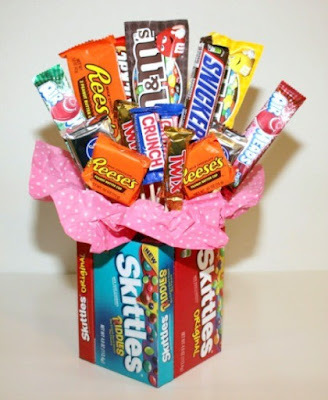 One note on making these bouquets--don't be stingy with the tape on the back of the candy bar. I made one and used a small amount of tape on each pick and they ended up coming apart. This one is for the rocker in your family. Thanks to the 11 Best for sharing. The Payday Peanut Squares recipe from Today's Creative Life will be a family favorite. Looking for a project for the entire family to participate? How about an old-fashion taffy pull? 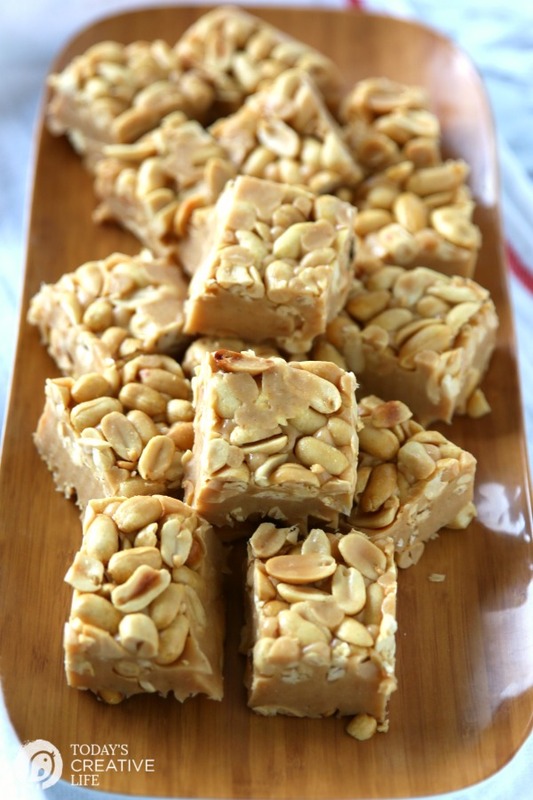 Vanilla & Lace shares their salt water taffy recipe with us. 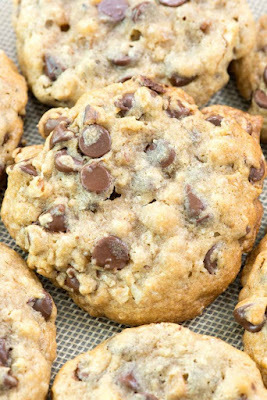 For the last hurrah, you must try these copycat Doubletree Chocolate Chip cookies. I've had the pleasure of staying at the Doubletree Hotel and having this rich, chocolate goodness waiting for me on my pillow. The secret is in the oatmeal! Thanks to Crazy For Crust for the recipe.